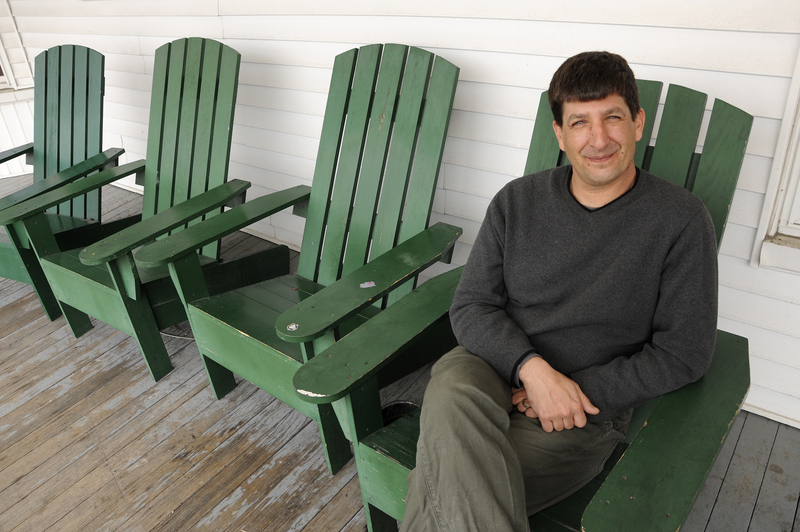 Professor Brian Eisenhauer on the porch of EcoHouse, home to the Office of Environmental Sustainability and a living and learning laboratory for students to practice living sustainably. Jon Gilbert Fox photo. In his roles as professor, scholar, researcher, mentor, and campus leader, Brian Eisenhauer is at the center of Plymouth State’s sustainability and climate neutrality efforts. Under his leadership, Plymouth State has been consistently recognized as a leader in environmental sustainability and is regularly included in The Princeton Review’s Guide to Green Colleges, a compilation of the most environmentally responsible higher education institutions in the United States and Canada.